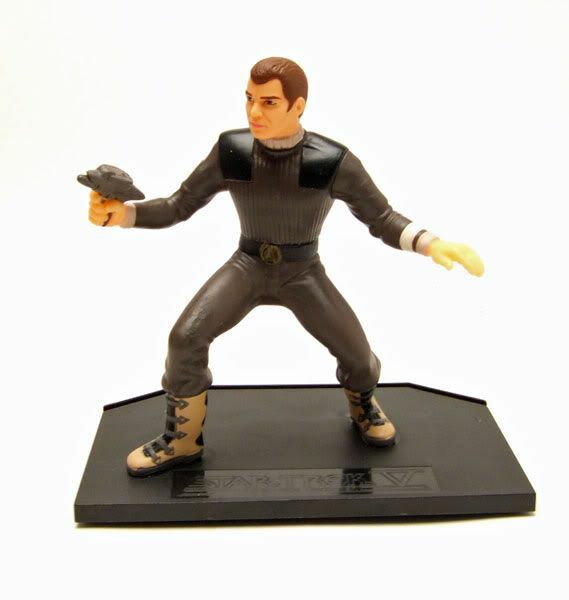 Kirk was released boxed as part of Galoob's "Star Trek V: The Final Frontier" line. 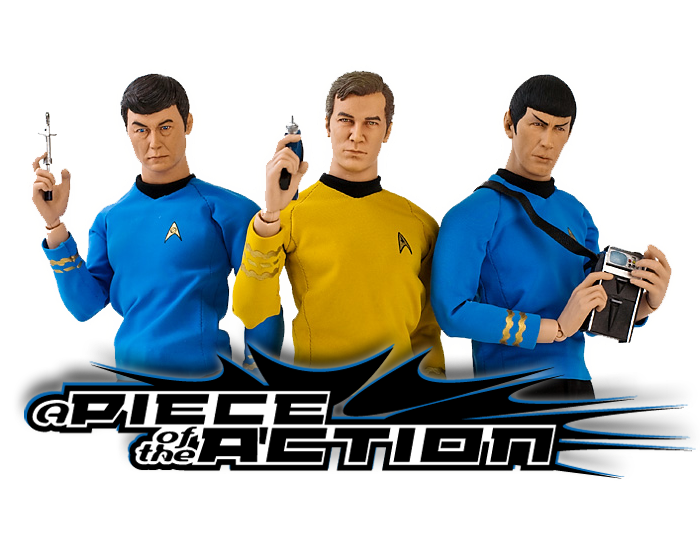 The Rundown: So I was on a bit of a Star Trek high this week after getting and opening the excellent DST Voyage Home and TOS reissue 2-Packs. I needed something to bring me back to reality...the reality that not all Star Trek toys are that good. 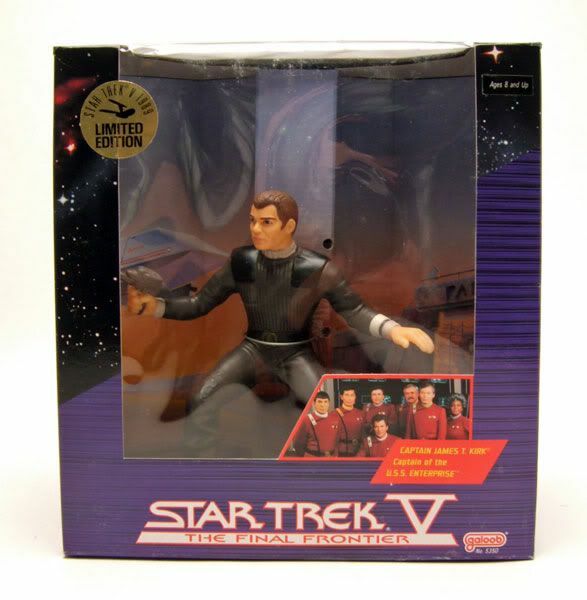 Look no further than Galoob's "Star Trek V" line; in my opinion, the worst mass market Star Trek figures ever made. 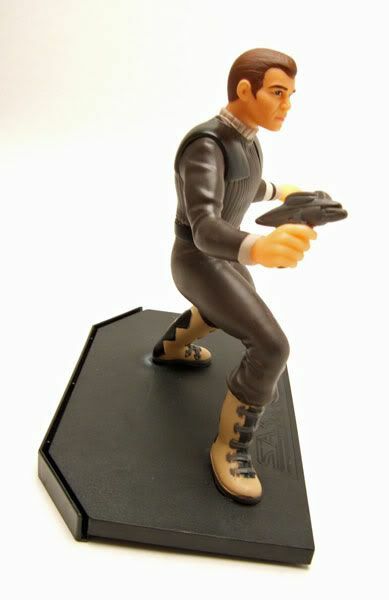 Gallob had the Trek license for a short time during the early years of TNG. 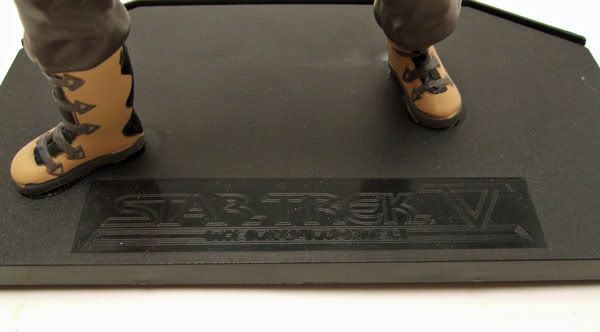 They produced what I believe to be a pretty cool line with their 3&3/4" TNG figures. The figures had reasonably good likenesses, a good selection of characters, and small vehicles for the figures to pilot. Naturally, they'd handle the TFF movie line the same way right? Wrong. Why do a cool line like that when you can just do a few large, unarticulated, horribly-made, roto-cast craptastic dolls! Win! Wow. Yeah, that's not very good. 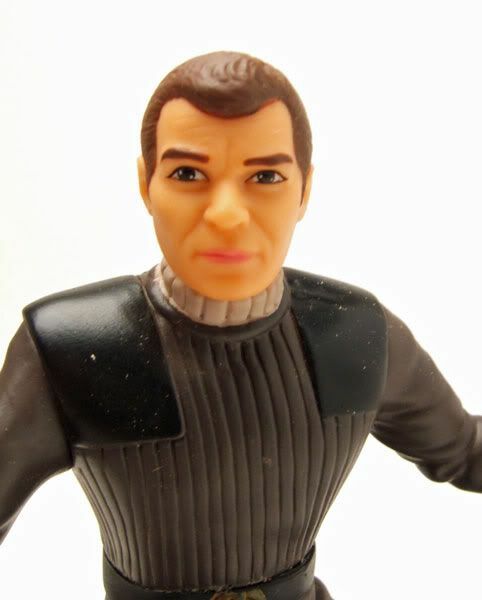 I'm not cutting them a break because these are roto-cast either; Mego's head were roto-cast, and those came out a decade before these and are far superior. The paint used is super cheap as you can tell by the 'gold' belt buckle that now has a greenish hue. Oh, and mine had some kind of imperfection on the leg. 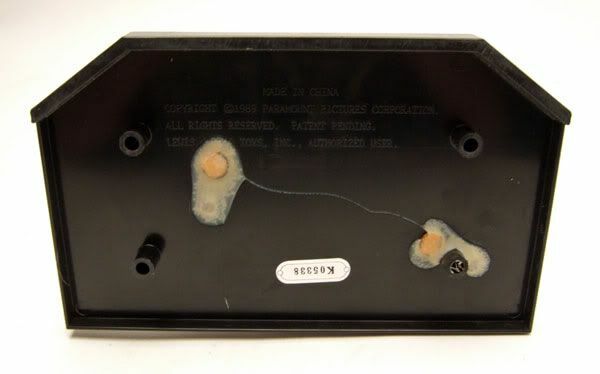 I guess Galoob thought "Why reject an inferior product when you can just slap some paint on that spot?". Looks, um, great? Want to read what the box has to say about Mr. Kirk? 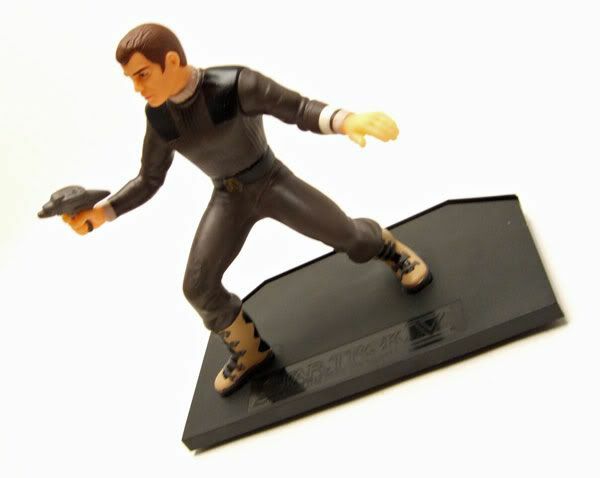 The hand phaser's wrong too! Not the ones seen in STV those are the STIII versions. I remember that I had to mail away to get a set. If memory serves me right, these could not be found in stores, but of course a bit later they were.